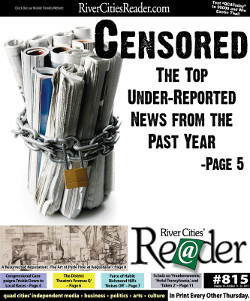 Read about additional censored stories in Kathleen McCarthy's editorial here. Each year, Project Censored compiles a list of important news stories that go unreported, under-reported, or misreported by mainstream news outlets. These top-25 "censored" stories from the past year follow, and collectively they paint a much different picture of the world from what you'll find in daily newspapers and news broadcasts. As Andy Lee Roth and Mickey Huff write in their introduction to the forthcoming Censored 2013: Dispatches From the Media Revolution - The Top 25 Censored Stories & Media Analysis of 2011-12, Project Censored "holds to account the corporate media who, all too often it seems, would rather be let alone than bothered when it comes to real, important news; and it celebrates the efforts of independent journalists who in 2011-2012 brought forward crucial news stories to stir us from complacency." 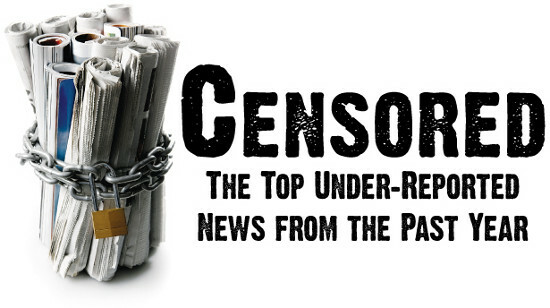 Censored 2013: Dispatches From the Media Revolution will be released October 30. In addition to the stories below, it includes expanded discussions of them in the context of five thematic "clusters"; a section exploring "narratives of power"; and international "censored" stories. For more information on the book and Project Censored, visit ProjectCensored.org. (14) Who Are the Top 1 Percent and How Do They Earn a Living?